It’s a handmade and homemade kind of holiday season this year. 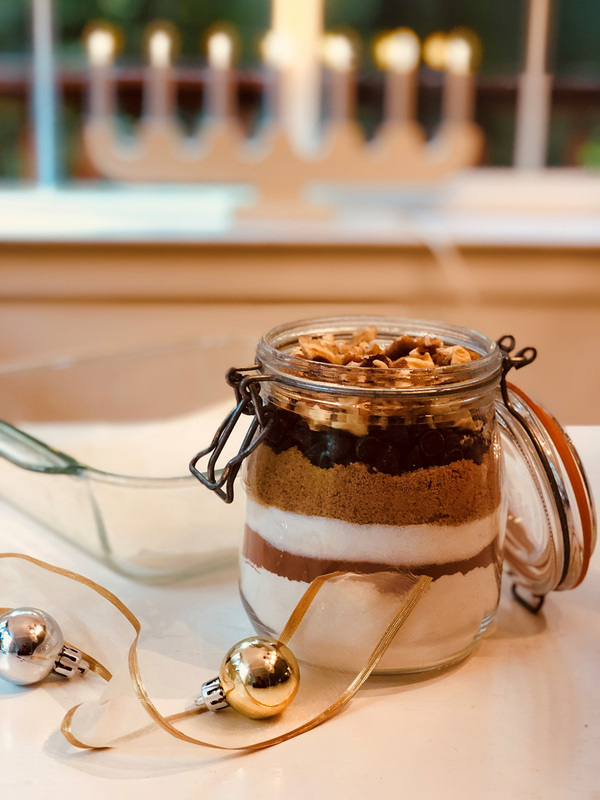 If there are still some people on your gift list you wish to remember with a little something, or you need some grab-and-go hostess gifts on hand for parties and get-togethers, create this “from your kitchen” gift idea in an afternoon this week. Be sure to get your kids involved in making this creative go-to stash of gift jars filled with the dried ingredients for making super chocolaty, chewy and moist brownies. A throwback kitchen craft, this updated version is fun to assemble with even your preschooler. What 4-year-old doesn’t like to scoop and pour? That’s what building the layers of brownie ingredients in a jar is all about as they work to create an artful gift of yummy ingredients. 1. Assembly-line fashion, set out the ingredients, including clean, wide-mouth quart-size jars and lids, on the kitchen counter or a large table. Place a measuring spoon or measuring cup by each ingredient, along with a card stating the name of the ingredient and the correct quantity to scoop into each jar. Grease or line the bottom of an 8-inch pan with parchment paper. Stir lightly until blended, then pour into pan and bake for 25 minutes. Cool in pan, cut into squares and serve.